I’ve been loving rompers lately, who doesn’t love the ease of picking out one thing to wear and being set for the day. This romper is an old favorite and it will be in my closet for a few more years. Finding a good romper is tough for a tall girl, but I recommend trying one on if you haven’t. They’re almost like a hidden treasure if you’ve never worn one. I dusted these beautiful shoes off for the first time since I purchased them last year and I realized I never took any photos wearing them. I know, shocking to me too. I do love a good statement shoe or even something that is out of the ordinary and these fit the bill. 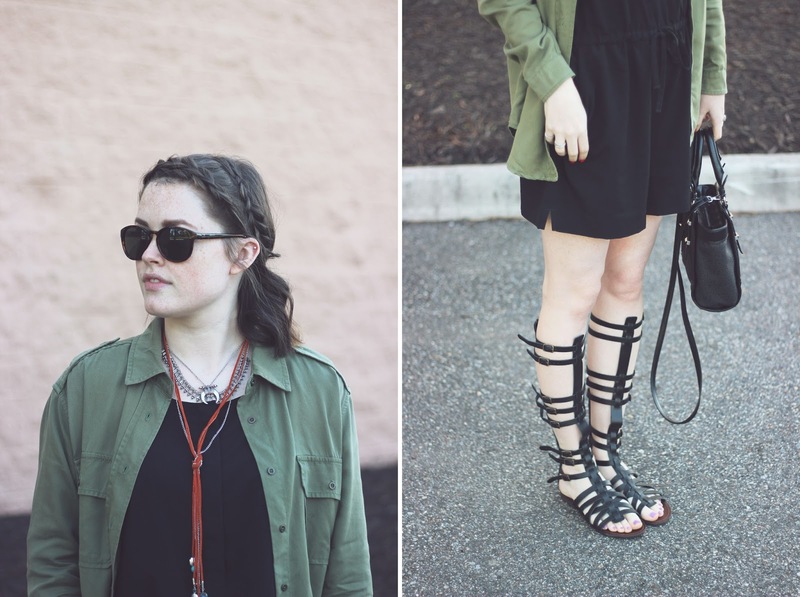 I’ve noticed myself revisiting old favorites in my closet because I’ve been in a shopping rut. I’ll walk around a store and pick up a few things and then talk myself out of them, but now I’m getting back into a groove of buying what I want rather than what everyone else is wearing. Speaking of shopping, I braved the Lilly For Target sale on Sunday, and boy was I expecting something else. There are a few Target stores in my area so there wasn’t a ton of people, but some ladies got crazy and ran to the racks. I luckily got out with a dress, some pants and a few accessories. I definitely did not expect to walk into a Black Friday in the middle of April. This romper is ADORABLE! — I love the length! Thanks so much! It's really comfortable because of the longer length! Exactly! 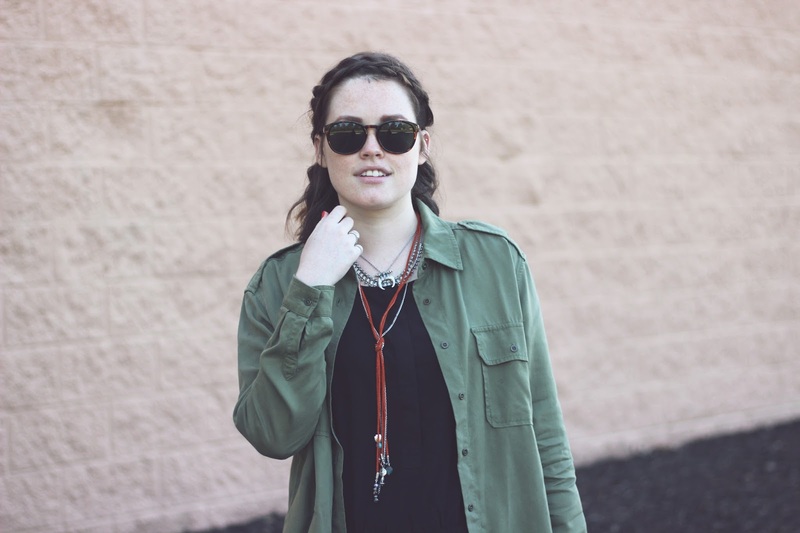 Just switch up some layering pieces or jewelry and it's a whole new outfit! Thanks for stopping by! It's definitely a favorite combo of mine! Thanks for stopping by!